The HMS Ambuscade 1773 was built at Depford and served in the Royal Navy during the American Revolution. It was captured by the French corvette Bayonnaise in December 1798, when blockading Rochefort, and then brought into French service as Embuscade. The frigate was recaptured by the British in May 1803. 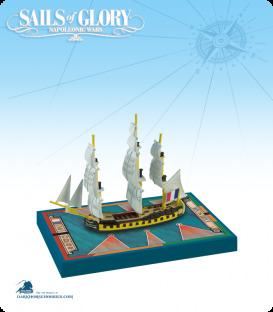 This ship pack can also be used to represent the French frigate “Le Succes 1801”.